1. What caused my baby to have a heart defect? While there are some heart defects that are known to be associated with specific genetic syndromes, this is not always the case. For example, isolated defects in otherwise healthy infants do not always have readily identifiable genetic or environmental causes. The circulatory system is one of the first organ systems to begin functioning. Problems occurring in early fetal life with the blood vessels and developing heart can be compounded as the fetus develops. Several genetic syndromes have strong association with heart defects and other organ systems. Children with a heart defect will have additional abnormalities in another organ 25% of the time. These facts all support a genetic component. Numerous environmental exposures also are associated with congenital heart defects. These include using some medications for seizures, acne, or bipolar psychiatric disorder. Some diseases, such as rubella, other viral diseases, diabetes or lupus, early in pregnancy can cause heart defects. Alcohol and street drugs may increase the risk. Exposure to chemicals such as certain pesticides and solvents also are thought to have an impact on fetal development. Read more about Congenital Heart Defects. 2. What is the likelihood that my next baby will have the same defect or a different defect? Most congenital defects are not common and likely will not occur in future children. Slightly less than 1% of infants born in the United States have a congenital heart defect (about eight per 1,000 live births). In general, the chances of a sibling also being born with the same defect or other heart defect are about 2% to 3%. While this is higher than the general population rate of 0.8%, it is still a relatively small chance. Consultation with a genetics counselor to find out more about your particular risk for future pregnancies is recommended. Remaining healthy and avoiding certain exposures is helpful. Not all congenital heart defects require medical and or surgical treatment. A pediatric cardiologist and congenital heart surgeon should guide the course of action for your child and the need for follow up. 3. My child’s cardiologist has explained her heart problem to me but I don’t really understand and don’t know what to ask. Should I get a second opinion? It is important that you have all of the information you need about your child’s heart condition and that you understand the plan for taking care of your child’s heart defect. Never be afraid to ask your doctor questions. Sometimes, parents would like a second opinion regarding their child’s problem. Here are some helpful hints on how to get the information you need in order to make sure that your child is getting the best care possible. Talk to your child’s pediatric cardiologist. Heart problems in children can be confusing. The workings of the heart are complex and the treatment options can be difficult to explain. Don’t be embarrassed if you didn’t understand or if you don’t remember everything after your first or second session. Your child’s cardiologist is used to going over a child’s heart issues more than once and expects to do so. Make a list of questions and bring them to the clinic visits or have them with you in the hospital. These can be emotional and difficult discussions, so it helps to have a written list of questions. Ask for diagrams. Again, because of the heart’s complexities, pictures can go a long way toward helping you understand the problem and treatment. Ask your child’s cardiologist who to see for the second opinion. Although this may seem awkward or embarrassing, your doctor should understand and should help you find another pediatric cardiologist. If this is not possible, you may be able get a referral from your child’s pediatrician. Medical care in the United States has become very subspecialized, especially for some of the complex pediatric heart problems. In certain circumstances, it might be appropriate to speak with a congenital heart surgeon who specializes in your child’s heart problem. 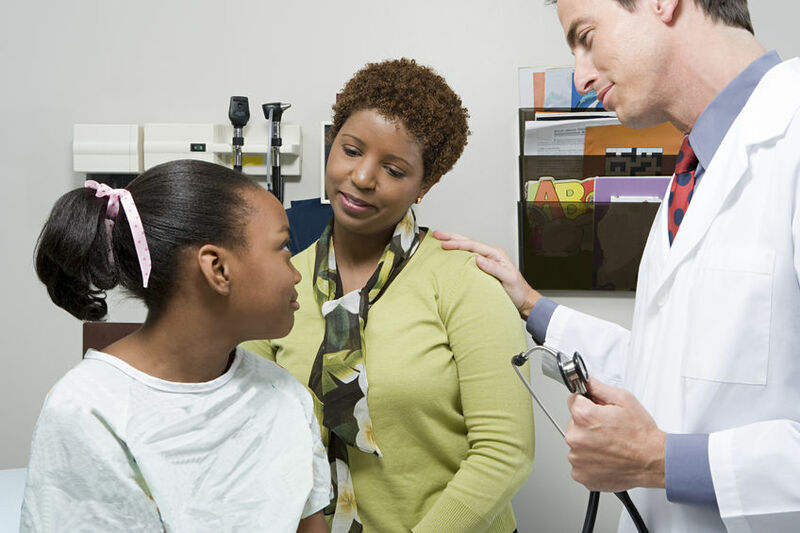 Get the pertinent records from your child’s cardiologist in order to make the most of your second opinion. It will greatly help the consulting specialist if he or she can review detailed records. Such records might include notes of office visits, catheterization reports, operative reports, as well as copies of echocardiograms and cardiac catheterizations. If possible, contact the consulting physician’s office before the visit. The consulting physician may want to review your child’s records before the visit or may ask you to bring them with you. In either case, being prepared will make it more likely that the visit will provide you with the information you are seeking. Remember to bring your list of questions! 4. I’ve been told my child has an innocent murmur. What is that and should I be worried? Innocent heart murmurs are sounds made by the blood moving through the heart’s chambers and valves or through blood vessels near the heart. They’re also called “functional, normal, or physiologic” murmurs. Innocent murmurs are very common during infancy and childhood. In fact, it is estimated that at some time in their lives, most children will have an innocent heart murmur. These types of murmurs represent the normal sound of blood as it flows from the heart into the main blood vessels of the body or lungs. It is usually diagnosed by the typical sound heard with a stethoscope during a physical examination. If your child’s doctor has any question about the nature of the murmur, he/she will order additional tests, such as an electrocardiogram (ECG) or echocardiogram (Echo) to distinguish the murmur from much less common abnormal murmurs. If the murmur is innocent, there’s no need for you to worry or for your child to have ongoing cardiac reevaluation. Your child doesn’t have a heart problem or heart disease, won’t have cardiac symptoms, and doesn’t need medication. You don’t need to pamper your child or restrict his or her diet and activities. Your son or daughter can be as active as any other normal, healthy child. 5. My baby was just diagnosed with a single ventricle. What does this mean? The normal heart has two collecting chambers called atria and two pumping chambers called ventricles. “Single ventricle” refers to congenital heart defects in which one of the pumping chambers is absent or very small, or defects where the partition between the two pumping chambers is missing. These defects are often called hypoplastic left or right heart syndrome. “Hypoplastic” is underdevelopment or incomplete development of a tissue or organ. Hypoplastic left heart is underdevelopment of the left sided heart structures, including the valves (aortic and mitral), ventricle, and blood vessel coming off the left ventricle (aorta). Hypoplastic right heart includes a wide range of defects with a small or absent valves on the right side of the heart (tricuspid and/or pulmonary) and possibly the pulmonary artery coming off the right ventricle. In addition, a single ventricle occurs if there is no partition between the two pumping chambers, leaving a functionally single ventricle. These defects can result in severe heart failure (not enough blood to the body) or severe cyanosis (not enough blood to the lungs). All of these defects require a treatment designed to ensure blood flow to both the lungs and the body. Sometimes this involves limiting blood flow to the lungs and creating a new blood vessel to provide blood flow to the body. Other times, operations are required to ensure blood flow goes to the lung arteries. Ultimately, most babies with single ventricle need two or three operations that result in the channeling of blue blood (unoxygenated) to the lungs and red blood (oxygenated) to the body. There are good surgical options for most babies with single ventricle and many children with this condition can do most normal childhood activities. Your pediatric cardiologist or pediatric heart surgeon can give you the best information on the specifics of your child’s condition. Read more about Single Ventricle Defects.